“I am declaring war on diabetes” was Health Minister Gan Kim Yong’s bold declaration in Parliament last week. Warning Singaporeans of the worsening scourge of diabetes, Mr Gan emphasised the need to take decisive action. The statistics are sobering — four amputations every day due to diabetes, two in three kidney failure cases attributable to diabetes and if unchecked, one million Singaporeans afflicted by the year 2050. Globally, the situation is equally grim. The World Health Organization reports that the number of adults with diabetes has quadrupled since 1980, with more than 420 million diabetics today. In America, the annual costs of treating diabetes has crossed the US$100 billion (S$134 billion) mark and is on track to triple in the next two decades. But this is not any ordinary war. This is a war with ourselves, a war with the way we eat, with the way we live. We have created a world where it is all too easy to eat badly, to overeat and be sedentary. Mr Gan articulated this crisply when he focused the “war” on “shifting mindsets and changing habits”. How should Singapore fight this war? Albert Einstein is said to have described insanity as “doing the same thing over and over again and expecting different results”. We cannot fight this war with more of the same — we need new weapons and new thinking. Advances in technology and new insights into behavioural change are probably the most potent weapons we can harness in this war. These weapons were not available or sufficiently matured even a decade ago and their inclusion now is, thus, very timely. Technology allows us to fundamentally change how we deliver care for diabetics and promote health to everyone else. The power of “Big Data” and the “Internet of Things” together allow patients to be remotely monitored and engaged in much more inexpensive ways. The analogy in consumer services would be how Alibaba or Amazon build up profiles of users which they then use with great success to encourage purchases. Instead of blunt dualities categorising patients as having “well-controlled” or “poorly-controlled” disease, we can much more finely segment patients by their health status, social habits and motivators, customise the advice and interventions to achieve correspondingly higher adherence rates. On applying more adroitly behavioural sciences, there is so much to be done. Pulitzer Prize-winning journalist and author Charles Duhigg in the book The Power of Habit describes a simple neurological loop at the core of every habit. The loop consists of three parts: A cue, a routine and a reward which satisfies a craving. Mr Duhigg describes how P&G’s Febreze — a commercial flop when launched as an odour-killing product — became a billion-dollar blockbuster when a pleasant smell was added and Febreze was rebranded as the “finishing touch” to cleaning. Placing this into the “cue, routine, reward” loop, we can see how Febreze positions well. Seeing a messy home is the “cue”, cleaning is the “routine”, and the pleasant smell the “reward”. The craving is for the smell, which signals that cleaning is complete and a “reward” is due. In healthcare, how do we create a similar sequence? The cue might be a daily alert at 8pm informing one of the number of steps walked thus far which triggers a routine, eg walking a mile with the reward being a congratulatory message from one’s physician or coach and, perhaps, even a voucher for fresh fruits. CAN SINGAPORE SET An EXAMPLE FOR THE WORLD? Tools aside, the economics for patients and healthcare providers have to make sense and the government will have its work cut out to shift the entire health and healthcare financing systems. We need to move away from a predominantly “fee-for-service” model where doctors are paid more when more “sick care” services are provided, to one which incentivises wellness and healthy living. Tax policies will also be important in sending the right signals about lifestyle choices and encourage appropriate behaviours. The science exists today to enable “nudging” patients and citizens into the right mindset and habits, but without a favourable financing and payment system, change will be slow and reluctant. Finally, it is encouraging that the Diabetes Prevention and Care Taskforce being set up to lead the war against diabetes will be multi-sectoral. Coming back again to Einstein, a quote commonly attributed to him goes: “No problem can be solved from the same level of consciousness that created it”. While the composition of the task force has not been announced, it would be ideal if it includes a good mix of leading digital health start-up founders and independent, innovative thinkers from sectors that have enjoyed success in shaping public perception and behaviour. No country in the world has won the “war against diabetes”. Most are actually losing. 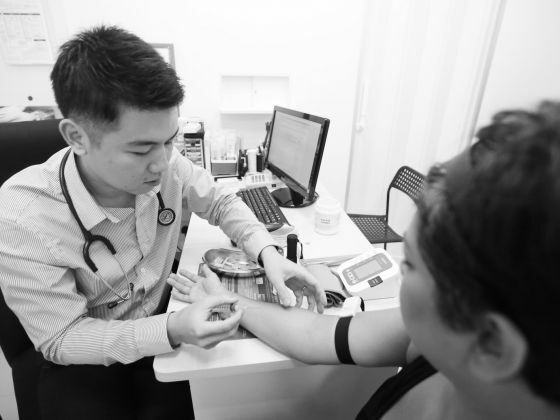 If Singapore can turn the tide against diabetes, it would set the country as a shining beacon amid a gloomy landscape strewn with failed efforts and worsening disease burdens. Singapore’s model can then become the example for the world, and that might be the greatest contribution our “Little Red Dot” can make to humankind. 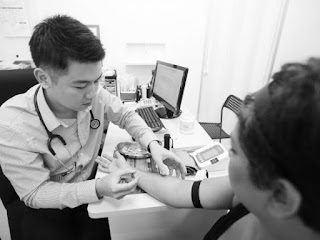 Dr Jeremy Lim is head of the health and life sciences practice for the Asia-Pacific for Oliver Wyman, the global consultancy. He is the author of Myth Or Magic: The Singapore Healthcare System.